Easter is almost here! Even after all these years in Australia, I still associate Easter with Spring. In Finland I would always grow "rairuoho" (a type of grass) at Easter as a symbol of Spring and new beginnings. Here in Australia, I get a similar result with sprouting wheat. It only takes a few days to grow and I just love the fresh green colour of the grass. I'm not big on Easter decorations, but I just couldn't resist this simple white bunny I saw in the shops the other day. I don't think I will tuck it away even after Easter is over. 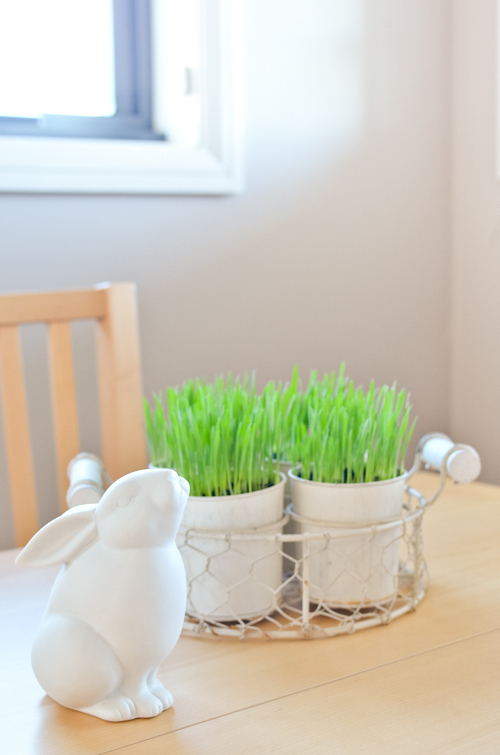 Wheat grass grows in a few days and the green colour is perfect for Easter! That grass looks so fresh and pretty, and I looove that white rabbit :) I also tried to look for something for Easter decorations but so far only found chocolate eggs... have to keep looking. love it! need to do this as well even though it is not traditional here, I love that vibrant green grass! Happy EAster! How lovely! 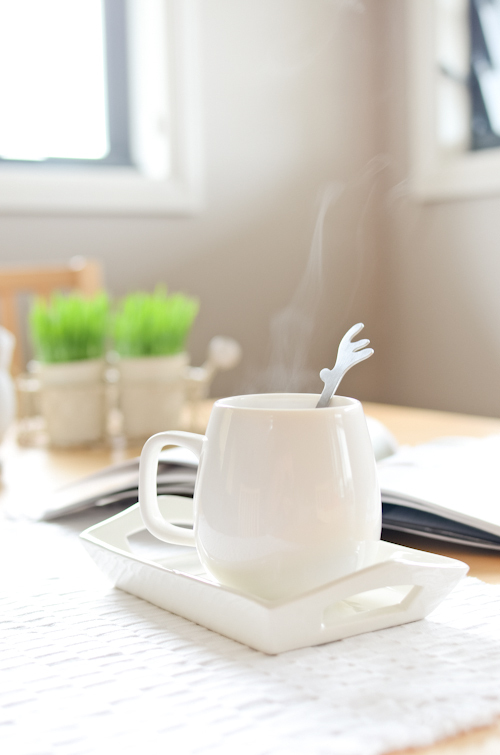 Great decorative idea that you can later consume. 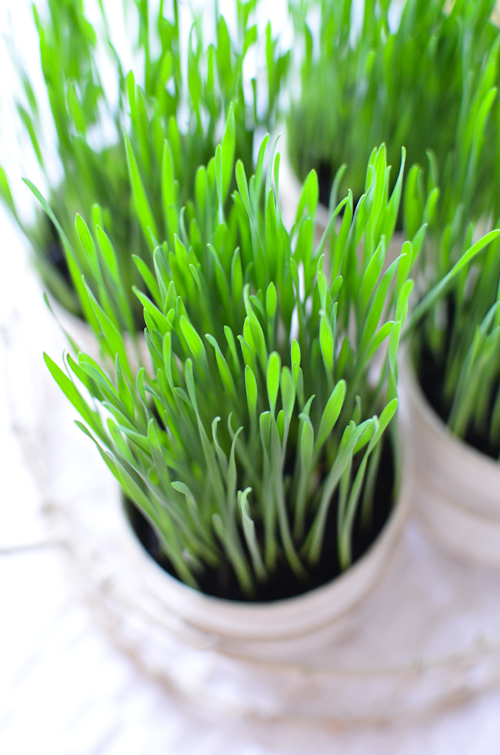 I'm a big fan of wheatgrass and add it to my smoothie each day. Thinking about sprouting some of my own as well.